Orlando Scandrick‘s free agency stay did not last long, and he’ll be seeing his longtime employer twice next season. The Redskins and a the recently released cornerback agreed to terms on Monday, Mike Garafolo of NFL.com tweets. 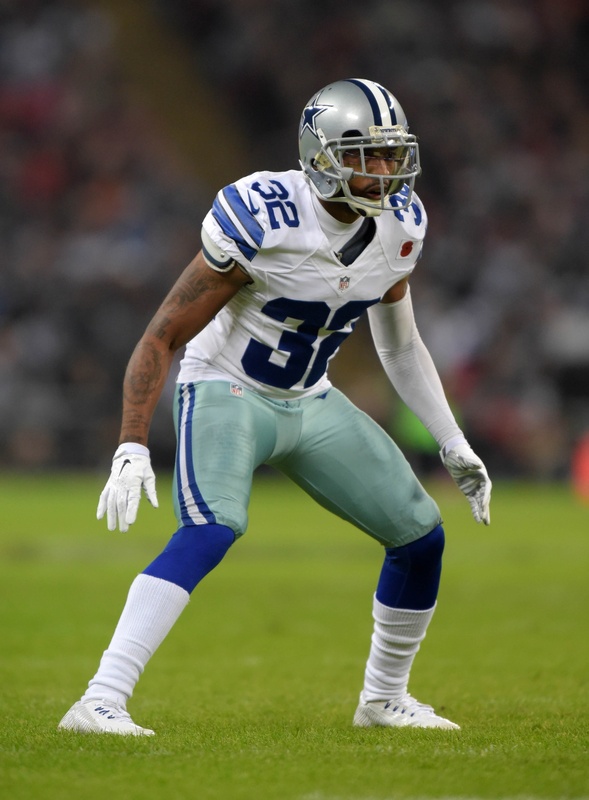 Washington authorized a two-year deal with Scandrick, whom Dallas cut over the weekend after 10 seasons. The contract carries a max value of $10MM. This comes after Scandrick spent the previous two days visiting the Redskins. The Redskins also looked into recent Giants cut Dominique Rodgers-Cromartie, per John Keim of ESPN.com (on Twitter), but learned that 10-year veteran’s asking price was too high. The Cowboys made Scandrick a March cut, which was a long-rumored move. Despite the cornerback already having 10 years of NFL experience, 2018 will only be his age-31 season. He functioned as Dallas’ primary slot corner for many years, and after the Redskins included ascending slot stopper Kendall Fuller in their trade for Alex Smith, Scandrick may be set to fill that role. A 2008 fifth-round pick, Scandrick played a key role on the past several Cowboys defenses. He started 11 games in 2017. He’ll join a Redskins team that lost Fuller and may well see Bashaud Breeland defect as well. Breeland was set to sign with the Panthers, but a non-football injury scuttled that deal to leave him in free agency for the time being. With only Josh Norman previously locked in as a key contributor, the Redskins were thin at cornerback. They drafted Fabian Moreau in last year’s third round and could address the position further in the upcoming draft. However, the Cowboys making the decision to cut their longest-tenured defender changed the Redskins’ plans at this position. I’m not sure this represents an upgrade over Moreau or Dunbar. It undoubtedly takes them out of the running for DRC as well. Don’t get this one. It’s Moreau. And Dunbar most likely will be on the other side of Norman. Scandrick will play slot – where he’s been basically his whole career. DRC would’ve been a better option but it looks like he was too much $$. Scandrick was a bottom 10 corner according to PFF whereas DRC was in the 50’s. This was an expensive “depth” signing. My point is that there are better options out there. Where in the world are you getting that $2M cap number? The only thing that’s been reported is 2 years and a “max of $10M”. Let’s wait for the guarantees to come out first, but anything over vet minimum is expensive for Scandrick. He was garbage for the Cowboys last year. He also will 100% play slot. The Redskins have publicly acknowledged they need a replacement for Fuller – who was one of the best slot DBs last year. Josh *Holsey* is the depth you keep talking about. Moreau is next man up for either corner spot or slot. He’s been decent his career. And it’s a depth move with a bet on the back side of his career. Meaning he doesn’t need to be front line starter. 10 max exactly. So figure in some incentives. The rule of 51. You’re sitting at about 2M in cap. It’s not a bad price for his experience. In my opinion I would have liked to do nothing there and just rolled with the young guys. But I don’t see it as a bad move is the young guys can’t hold their ground. I’m guess and hoping they will where scandrick is a good depth piece to help mentor these young guys out of the slot. I think it’s a better move than DRC. Not saying it’s a great move but not a poor move what so ever. Weird 2.6M a year. And only 1M guaranteed. Not a bad signing at all. Trader! Two face! You go to the division rival redskins right after the cowboys grant your release! Benedict Arnold!!! Can someone explain the Cowboys to Redskins pipeline!? Say Hi to Alfred Morris for me, Douche bag.